Seeing those pretty nil art everywhere, some of us do feel so untalented. We are not able to apply nail polishes properly and they are creating such fine pieces of art that it can make Picasso run for his money. What if I tell you, that you can also create amazing nail art without so much as lifting a brush? It is easy, with these hacks for Indian woman. Have a look! 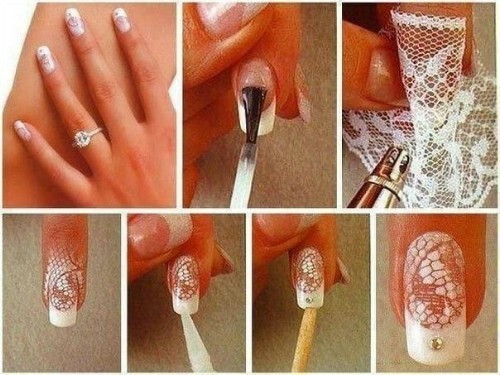 If you have a piece of lace lying around in the house, use it to create patterns on your nails. Just wrap it around the nail, and use a sponge to apply polish. You can also apply it directly using polish brush. Do you love half moon manicures? 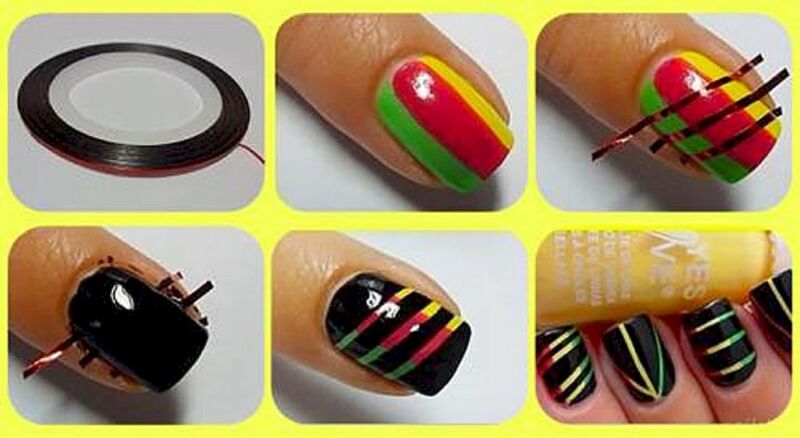 Cut a medical tape or crafting tape in semi circle and use it as stencil for creating half moon manicures. Remember those net bags you get while buying bananas and apples? 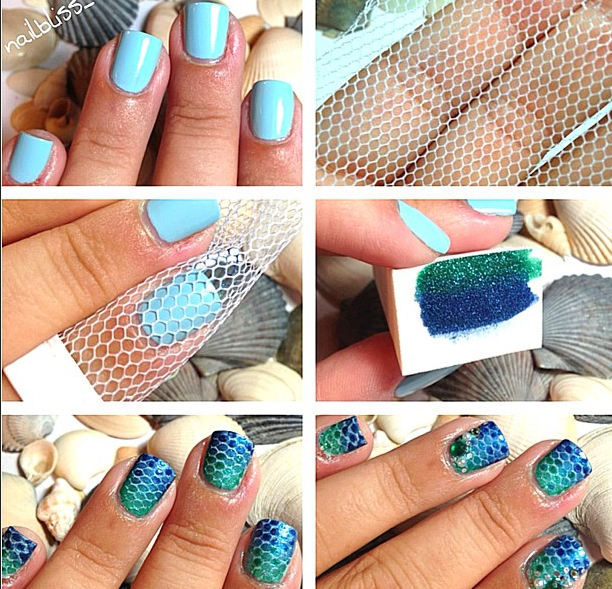 Use it to create fish tail manicure. You can also create various nail art patterns, using it. Use a sponge to apply polish lightly. 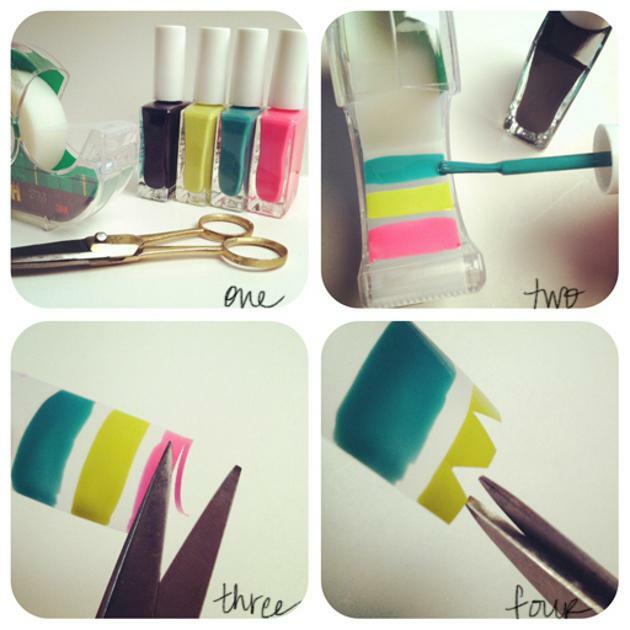 Buy a striper tape off internet or your local store and use it for creating fun nail art. It is rather easy to use these than you think! Apply desired polish color on cello tape or scotch tape and let it dry for 3-4 hours. Using a pair of scissor, cut desired shapes and paste them on your nails. Easiest way to create fine prints on nails. You must have used paper stamper in school for crafts and scrapbooking. It is time to use them for making nail art stencils. 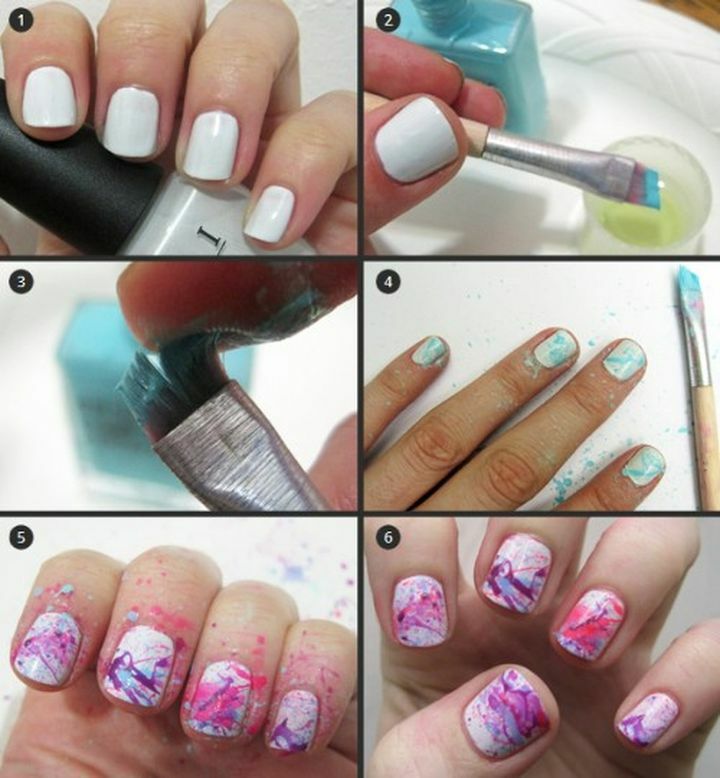 Just pick up a painting brush, dip it in polish and sprinkle nail polish all over your nails. Be as messy as you can get for creating fine piece of art. Do not forget to clean the brush by dipping it into Acetone or remover and wiping it off on cotton buds. Do share your thoughts on this. That fishtail one is so interesting! !